Just what everyone wants! 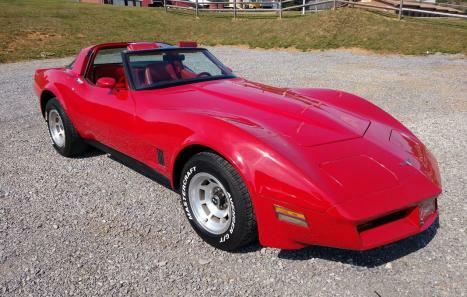 A real red-red 1981 C3 corvette with a 327 Small block in it. This corvette is a blast to drive, with plenty of power and great handling. Built 327, automatic transmission, 86,000 original miles, red leather interior, alloy wheels, power steering, power brakes, power windows, X-A/C, tilt and tele steering column, AM/FM/CD player, HEI ignition, dual electric fans, headers, high-flow catalytic converter, Flowmaster mufflers, and much more. We just installed 4 calipers, brake pads, brake hoses, master cylinder, e-brake cable, idler arm, and alternator. We also changed the oil and filter, changed the rear end grease, checked and lubed the chassis, and much more. 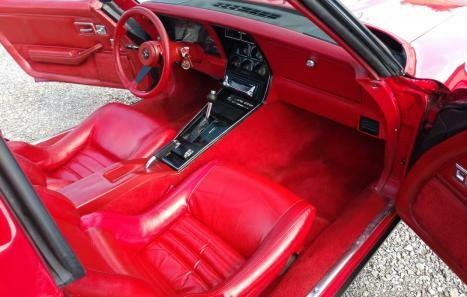 1981 was the last year for a carburetor on the corvette. 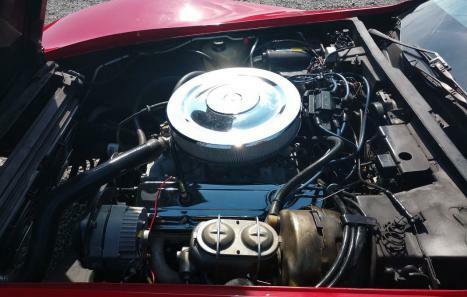 It was also the first year for a computer in a corvette. This was the last year for the Saint Louis Assembly Plant and the first year for the Bowling Green Plant. 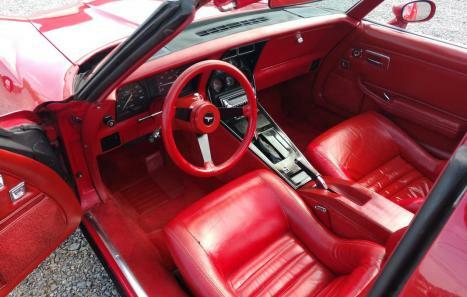 GM only produced 4,310 Red corvettes out of 40,606 total production in 1981.